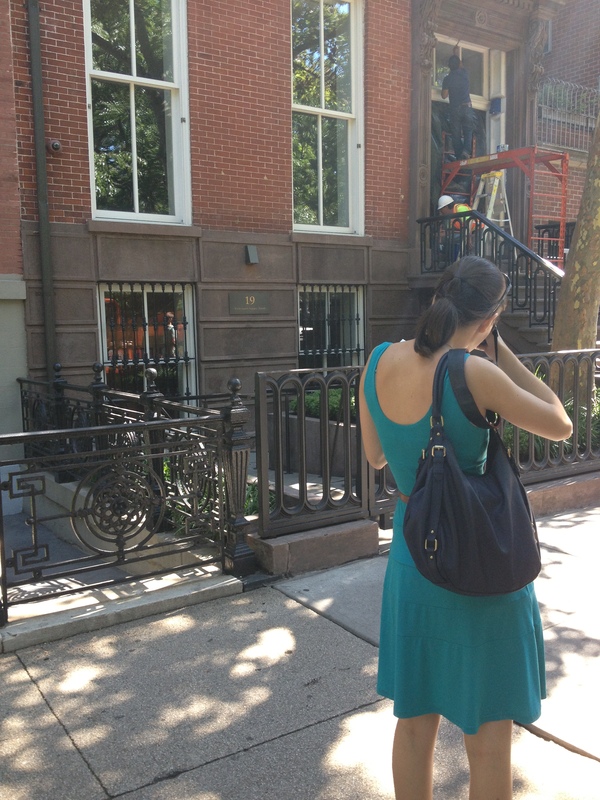 Makenzie Leukart spent the summer interning with the NYC Landmarks Preservation Commission as part of the Adolf Placzek Fellowship. 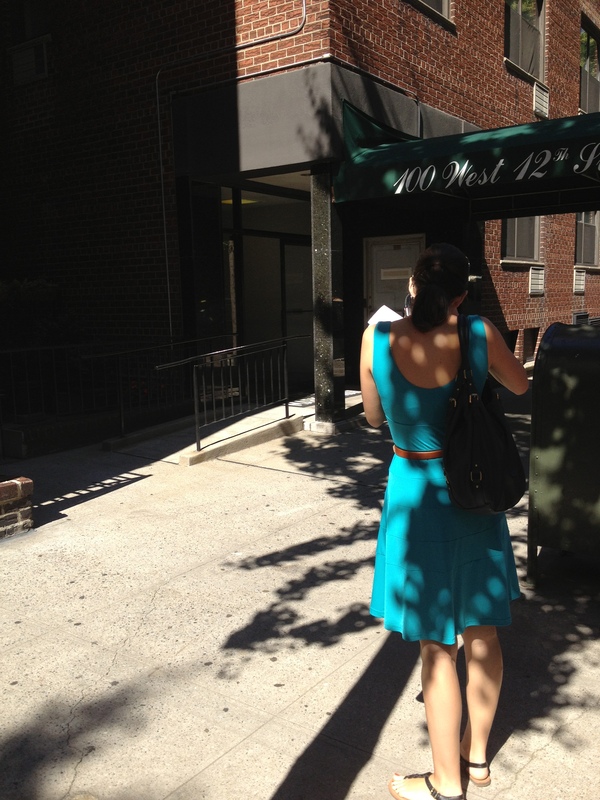 I took advantage of the unseasonably cool weather and accompanied her doing some fieldwork in Greenwich Village. Part of Makenzie’s tasks was to document handicap modifications to buildings in landmarked districts. Building owners must apply to the LPC before making handicap accessible changes to the exterior like ramps and lifts. Makenzie’s job involved following up on these applications by documenting the alterations. In many cases and for whatever reasons, the owners failed to create said structural modifications which led to us confusedly circling the buildings searching for mythical wheelchair ramps. Some of the alterations however were quite impressive as the use of compatible materials and design did not distract from original structure. 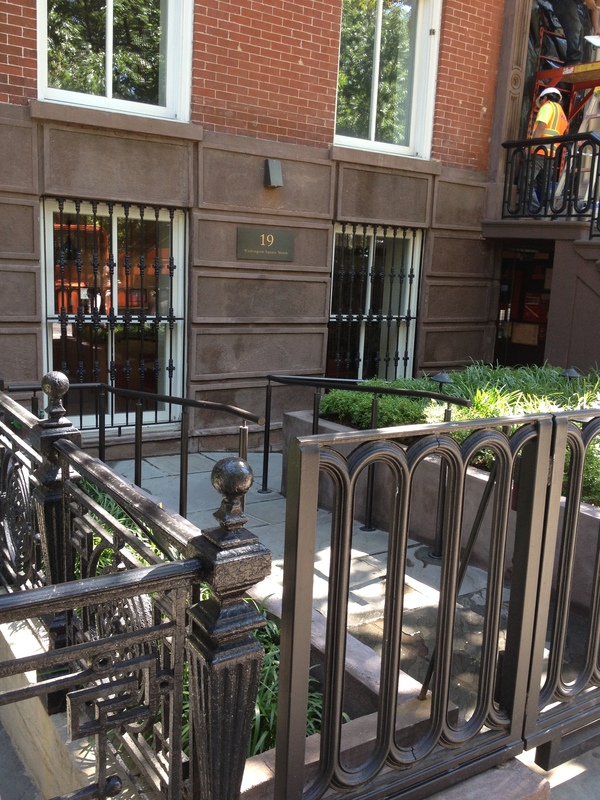 Next time you find yourself in the village, a brand new wheelchair ramp leading to a brownstone may be less easy to spot than you think.